You know you should do a few things to take care of your home, but it’s hard to keep up. Where do you even begin? Is it possible to take care of your home without it taking over your life? Yes, it is! Focus on these few items, and you’ll have a solid foundation. These simple devices are powerful life-savers when maintained. Test them monthly, and replace the batteries at least once a year. Pull out the refrigerator and vacuum the coils. This prevents dust and debris from slowing your fridge down. Over time your dryer vent can get clogged with debris and lint. Cleaning it regularly helps it run properly and prevents fires. A dirty filter makes it hard for your AC system to run well. Changing the filter is easy and can extend the life of your system. This helps extend the life of your AC condenser and prevents overheating. Especially important here in Arizona! Over time, sediment and minerals build up in your water heater and break down the tank liner and components. Flushing your water heater helps you avoid premature failure and excess energy use. Need more help taking care of your home? 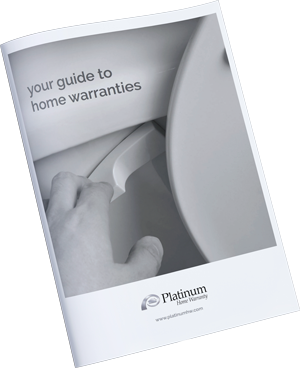 Our free guide will help you decide if a home warranty is right for you!